India can learn a thing or two about recycling from the US where even entire buildings are being recycled. 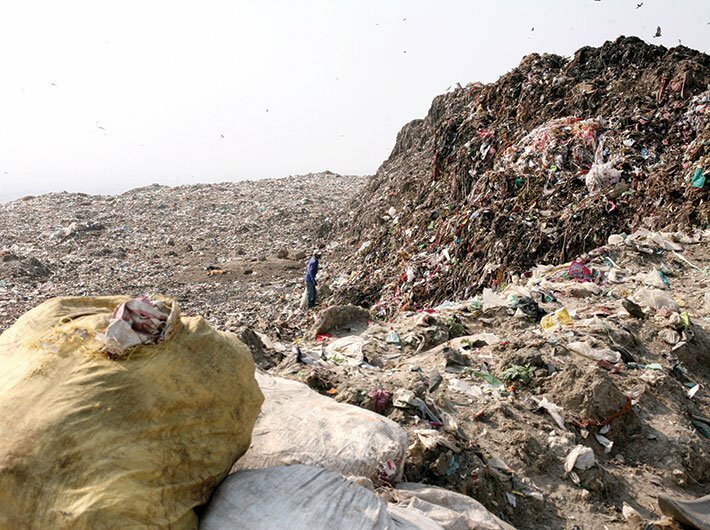 The US currently generates nearly 260 million tons of solid waste annually while India is producing 960 million tons solid waste per year. “Racing to the goal of becoming 'Zero Waste Cities' by 2040, several major US cities have adopted innovative techniques to combat waste generated there with multiple community benefits,” US consul-general Thomas Vajda said in Mumbai on Monday. Addressing the Waste Management Innovation -- ‘Toward a Green, Inclusive, Circular Economy”, Vajda said that to tackle the waste generated, several major US cities like New York, Los Angeles and Dallas have adopted innovative techniques with multiple community benefits. In California, the Smart Riverside Program collects electronic waste and reuses it for hands-on education. There, low-income students learn how to refurbish the discarded computers. All members of the program receive eight hours of instruction and get to take home a refurbished computer complete with software. To date, the program has provided 5,000 computers to low-income families and kept thousands of pounds of electronic waste out of California landfills. In 2014, the city of New Orleans purchased 250 solar trash compactors and placed them in high-traffic public locations. This initiative saved time and land space as compacted trash requires fewer trips to the dump and less space for disposal. It had the added benefit of reducing the city’s rodent problem by reducing the waste that attracted vermin. “A few years ago, New York City underwent one of the largest composting experiments ever. Its North River Waste Water Treatment plant treats between 130 and 350 million gallons of wastewater a day. For decades, all of that sewage was dumped into the Hudson River completely untreated. After 1986, the raw sewage was dried, but the sludge continued to be dumped into the ocean about 100 miles off the coast. Today the city reuses these bio-solids to make hundreds of tons of fertilizer, which makes its way to farms every day. As a result, municipal waste was eliminated, farming soil was rebuilt, and crop yields increased by one third. This is a perfect example of the kinds of innovation that can help make our economies circular and sustainable. “In the US today there are more than 70 waste-to-energy plants located in 20 states. These plants generate 2.3 gigawatts of electricity — enough power to light more than 200 million LED light bulbs. All together in the US sustainable waste management efforts provide more than 400,000 jobs for our economy and with further innovation fuelled by technology, more will surely come,” said Vajda. The US- India two day conference was organised by The Ohio State University and IIT, Bombay. Rattan Lall, distinguished professor, and director, Carbon Management and Sequestration Center, Ohio State University expressed concern about soil erosion, its adverse impact on food and said that that the top quality of soil is being taken away to make bricks used in construction. “India makes 600 billion brick annually by scalping the top quality soil. The good soil i.e. the top three metres of soil which has the highest amount of carbon is being used to make bricks. Our abundant crop residue and cattle dung which instead of putting back into the land is taken away for construction. So the land soil which must grow food is left to fend for itself,” said Lall. Lall said that soil contains largest amount of carbon. “India is a signatory to climate change mitigation. Whether it is food security, climate change mitigation, bio diversity etc, the solution lies in conserving an improving soil. Micro-organisms are extremely essential for soil. The soil at present is depleted because the crop residue is taken away to feed cattle. The cattle dung which should go back into the land is used for cooking so the land gets nothing. Because the soil is devoid of carbon, we apply fertilisers which instead of being kept in soil are washed into water,” said Lall. He asked policy makers for a complete ban on digging top soil.